Remember what they said in health class, always use protection. This is especially important when talking about surge protection for your electronics. Get a rock-solid 1080 Joules of surge protection & a bunch of other features with this surge protection power strip with rotating outlets. 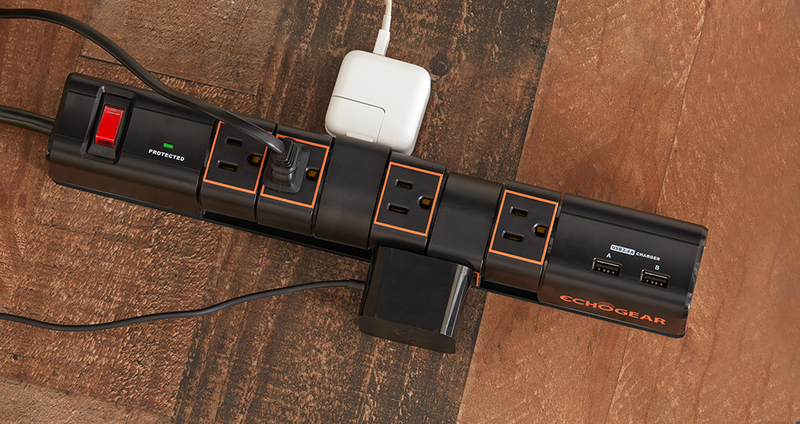 Power & protect up to 8 devices at once with 6 rotating AC outlets and 2 USB ports. 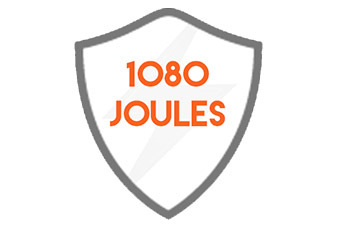 1080 Joules of quality surge protection stands up to even the biggest power surges. Just don't spill actual Surge soda on it. Cramped quarters? Maximize your space. AC plugs rotate 90º each way to help make room for all your chargers. There's even space to charge your burner phone. Includes 2 USB ports for quick, efficient device charging (up to 2.4 amps). Is Thor defending the world outside your window? Your gear will be protected, and get to see some great abs. Built with a fireproof MOV that keeps your house from burning down in event of a monster lightning surge. Keeps all your gadgets running longer by filtering dirty power & delivering a clean charge. Mountable design lets you hang the power strip anywhere you need. We've even UL tested & certified this power strip for safety. Plus, it comes with a 5-year $25k connected equipment warranty. If you aren't familiar with the intricacies of surge protection (we don't blame you), here's a quick lesson. Joules represents how resistant to surge a power strip is. The higher the number, the longer the protection. This surge protector has 1080 Joules of protection, which is an excellent rating. Competitive product only has half the Joules. Wondering what happens to all that extra power during a surge? 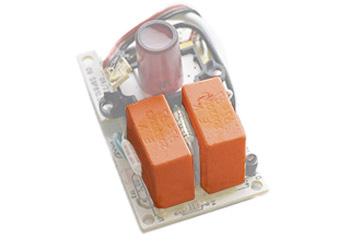 Metal Oxide Varistors (MOVs) act like a sponge to absorb the excess power and keep it from frying your brand-new TV. And not to brag, but you'll like the way we MOV. Our surge protectors are built with X3 fire-proof MOVs that are encased in thick ceramic to ensure that your house won't get burned to a crisp during a catastrophic surge. That seems like a good reason to get a surge protector. Just protecting your devices from surges isn't enough for us. Interference in the power supply = dirty power. 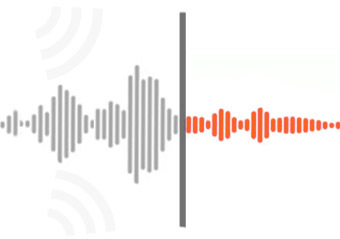 We clean it up with EMI/RFI filtering. Removing the harmful electricity signals will keep all your gadgets running better, longer. Talk about a win for you and your Super NES Classic. Let's play some Street Fighter. Electronics come with all sorts of wacky shaped plugs that can block outlets. We don't frick with that. Rotate any of the 6 AC outlets 90º in either direction to free up space for all the plugs, or to make everything lay flat against the floor. If you stick metal objects in an outlet, you're going to have a bad time. Want to make sure your kids, dogs, turtles, and drunk friends don't get shocked by anything but your new hairstyle? We've got you. Rotate the AC outlets 45º to block them from having anything plugged in. That way you can keep your friends as safe as your electronics will be with this surge protector. Since we are all obsessed with our phones and no one ever has a charging brick, we added 2 USB ports for good measure. They have a max output of 2.4A, which is plenty to power up a Fire TV Stick or Roku Stick.Sometimes you need power in strange places. 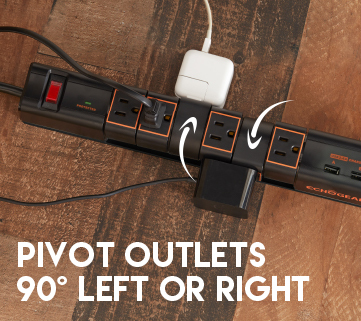 Mount your new power strip anywhere with 2 keyholes on the back. Throw in a couple nails or screws and hang it up in a few minutes. 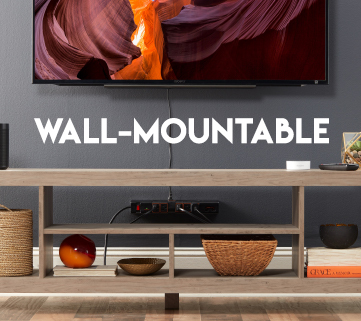 Plus, the flexible 6' power cord means you won't have trouble reaching an outlet. We knew you were going to ask, so here it is. Yes, we've been tested. UL tested for safety and quality that is. Never heard of UL (Underwriters Laboratory)? It basically means our products are legit. 2 legit 2 quit in fact. And that my friends is why you buy Echogear. 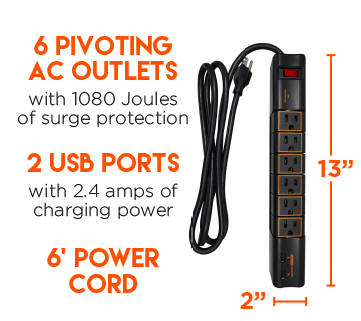 Joule Rating: Think of Joules as the number of surges the power strip can take. Higher rating = longer lasting protection. 1080J is a very good rating. Click the button below to add the Rotating Outlet Surge Protector With USB Ports to your wish list.